Yes! Creationist scientists do publish in peer-reviewed science journals. Many have impressive publication records in secular scientific journals too. But creationists cannot publish their creationist ideas in secular journals because the evolutionary worldview has a stranglehold on scientific publishing. How did that happen? It’s a long story but it’s got to change. Some have quipped that the scientific establishment has developed immunity to new ideas. Certainly the symptoms are showing. They have a shocking history of censoring any hint of creation and intelligent design from the marketplace of ideas. Sir Isaac Newton would be locked out of publishing his thinking today. That’s why creationists set up their own scientific journals—to break free from these mind-forged manacles. 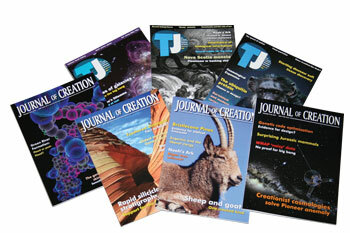 Journal of Creation is a much respected creationist journal published internationally. It’s devoted to the presentation and discussion of the technical aspects of the sciences as they relate a recent creation and the global Flood. It’s all about worldview. The areas of interdisciplinary study are wide ranging, including geology, biology, astronomy as well as geography, archaeology, biblical history and philosophy. 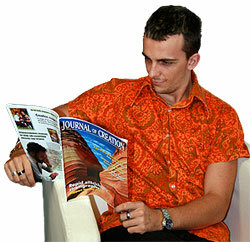 Journal of Creation has a high reputation as a professional, peer-reviewed scientific journal. It’s been published regularly for over 20 years and has just released the first issue of its volume 22. Its scientific writers always include outstanding international creationist researchers. Contributors to 22(1) include Royal Truman, Peer Terborg, Emil Silvestru, Carl Wieland, Michael Oard, Andrew Snelling, Tas Walker, Alex Williams, Reinhard Junker, Lael Weinberger, Don Batten, Jean Lightner, Jonathan Sarfati, Jerry Bergman and Andrew Kulikovsky. Articles are peer-reviewed by international experts in each field, affirming the age-old biblical principle of safety in a multitude of counselors (Proverbs 11:14), and iron sharpening iron (Proverbs 27:17). Journal of Creation has over 120 glossy pages of in-depth material including research papers, perspectives, overviews, countering creationist critics, book reviews and letter exchanges. It’s professionally presented, well illustrated and highly readable. And because the articles are attractively bound together into a hard copy it’s much more useful than material solely available on the web. You can read the latest research comfortably in your lounge chair, flick back and forth through the pages, mark points of interest and keep it on your bookshelf for ready access. You can have the best of both worlds. Past articles of Journal of Creation are progressively being made available on creation.com: some in html but most in pdf format. Read the research in comfort, search back issues for key words, and email electronic copies to your friends. So if you are tired of the elite telling you what to think, then get Journal of Creation for yourself. Explore science and philosophy from outside the box. Break though the censorship barrier. Free yourself from the narrow-minded, self-serving, materialistic paradigm. Read Journal of Creation. Break though the censorship barrier. Make sure you have access to the latest research as it is made available. Have your own subscription. Journal of Creation is even popular with secular researchers, who want a soundly-based alternative view. In fact, it’s popular with people from all walks of life: with educators, theologians, home-schoolers, pastors, engineers, atheists, and families. Why not begin your subscription with issue 22(1), or give a gift subscription to someone who needs it? Subscribing also helps support quality creationist research and outreach. Lampreys ‘older’ than thought. Jawless fish fossils are changing the way evolutionists tell their story. Gene regulation more complicated yet. All the mechanisms of variability must be in place before life can function. Resistance in the Australian sheep blowfly. Looks like it is due to designed mechanisms that allow for adaptation in created life. Facilitated variation. New molecular evidence shows the main components of neo-Darwinian theory are wrong. Geological pioneer. He was a biblical, six-day, young-earth creationist. The god-of-the-gaps. Why the argument is invalid against creationist science within the biblical paradigm. Richard Dawkins in The Ancestor’s Tale—keeps feeding the public myth. Australian Ice Age animals. How did 90% of them go extinct? 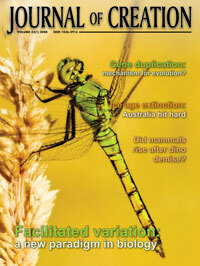 And lots more articles on all sorts of topics about the creation/evolution issue. I have had a very hard struggle over the years to see that God made everything, having had a dysfunctional upbringing which shut me down, but I thank Him that I am gradually beginning to see more of His handiwork, and the amazing level of programming and complexity blew me away. ‘I was awestruck by the article on the complexity of DNA by Alex Williams, in the Journal. I am not particularly intellectual, and regularly find papers above my head, but I did have a beginning of an understanding about molecular machines from Behe’s description of the transcription of RNA, like a tape recorder head. You can be ‘awestruck’ each issue, too. Subscribe to Journal of Creation —it’s mailing now. Think too, a gift subscription could be the key that helps one of your friends ‘begin to see’ something of God’s handiwork.